Enterprise Collaboration ist das, was ich schon seit Jahren tue. Working Out Loud begeistert mich sehr. Und FinTechs in Frankfurt interessieren mich, weil ich in einer Bank arbeite, in Frankfurt wohne, und in der hiesigen Tech-Szene schon Vorträge bei Barcamps und Webmontagen halten durfte. Hier wird ausschließlich meine private Meinung veröffentlicht! Kommentare, Feedback und Fragen herzlich willkommen. Saturday morning. The alarm rings at 5:30am. Time to fly to London for the The Big Yak! 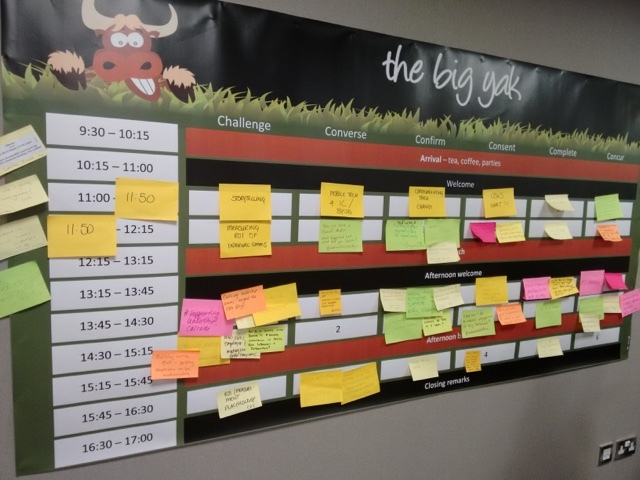 The Big Yak is an un-conference about internal communications. 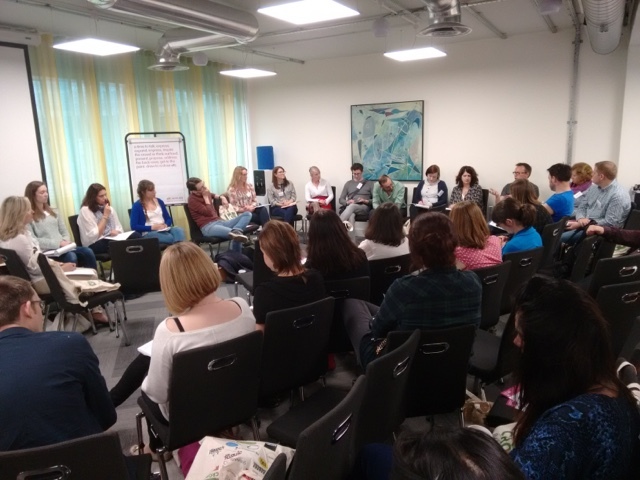 Professionals meet to share their experiences and discuss. Un-conference means that there is no fixed agenda. If anyone wants to talk about a specific topic, they can bring it up on a post-it, and the moderators put it in a timeslot. There were 6 rooms, with 5 sessions each, so overall 30 sessions. Sessions could be very small and intimidate, just a few people helping each other in a safe place. Or they could be much larger, when more people are interested in a general interest topic like "The ROI of internal comms". 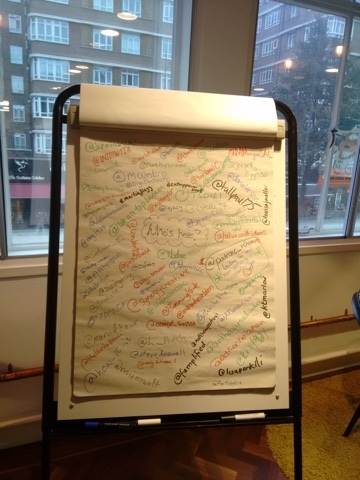 Most of the attendees were also on Twitter and tweeted live with the hashtag #thebigyak. 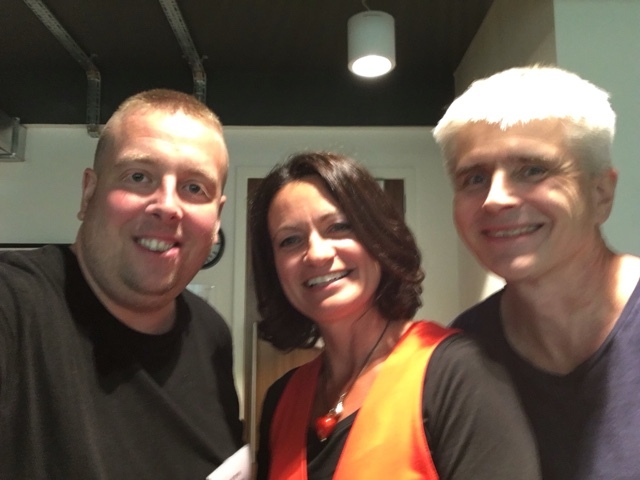 Some of my take aways had been around employee engagement, tools, surveys, Enterprise Social Networks, and people. I met people in real life that I had only knew from Twitter. 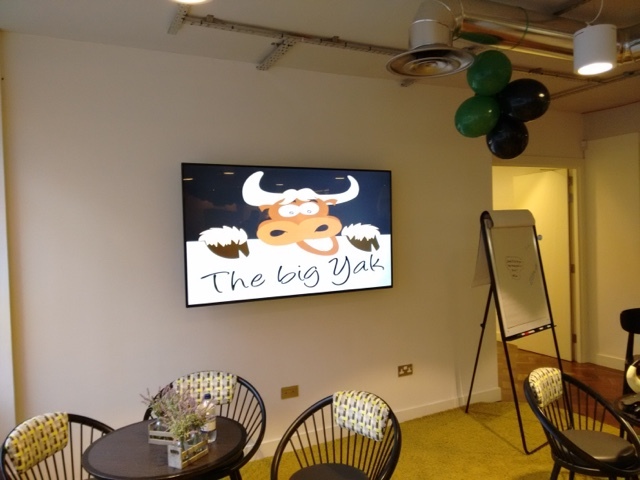 I can really recommend The Big Yak. 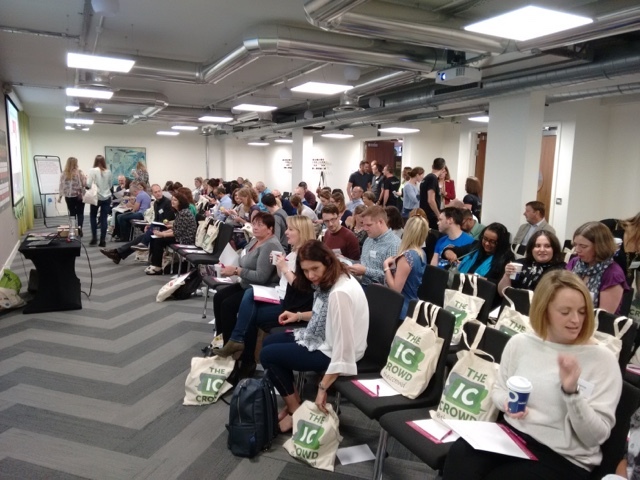 If you are in London and interested in internal comms, do not miss it the next time. It is free, it is fun, you can learn a lot, and you can meet like-minded people and connect with them. Cool. Es freut mich daß Du kommen könntest! Gut Dir kennenzulernen.